ART+CLIMATE=CHANGE 2017 will be held from 19 April – 14 May across Melbourne and regional Victoria. The festival will feature a major installation at Federation Square, 20 curated exhibitions at Victoria’s leading museums and galleries, national and international guests, keynote lectures and public programs. Art, culture and environment are vital areas of contemporary intersection, generating thought provoking explorations of ideas and creative thinking about environmental conundrums of the 21st Century. ART+CLIMATE=CHANGE 2017 will inform, engage and inspire, delivering an expansive and stimulating series of events that can lead us towards a creative, just and sustainable future. 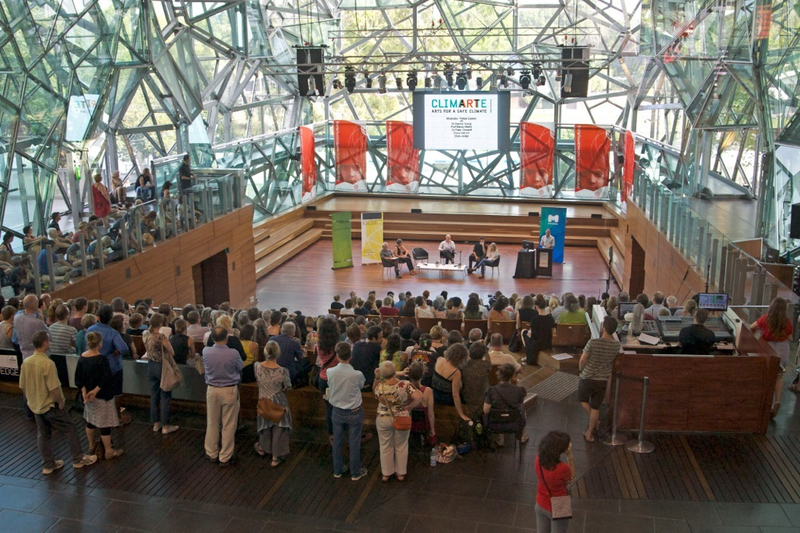 The inaugural ART+CLIMATE=CHANGE 2015 festival was held in 2015 and recently described by the international news website, Huffington Post, as one of the ‘top ten climate events for 2015’.